Who says you can’t play with your food? Candy is more than just a snack or sweet indulgence, it’s also the perfect prop for creating fun games! 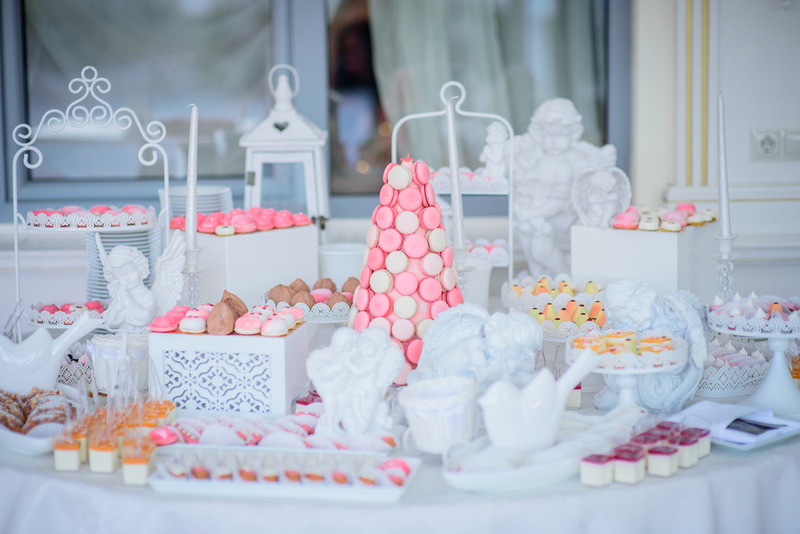 Whether you’re looking for Candyland-themed birthday party ideas, or planning a bridal or baby shower, or a crazy Halloween bash, candy can be used as game pieces for a wide array of fun party games involving food. So get out your gummies, M&M’s, Hershey’s Kisses, licorice bites, lollipops and chocolate coins, and get on board for some sweet and creative candy games. 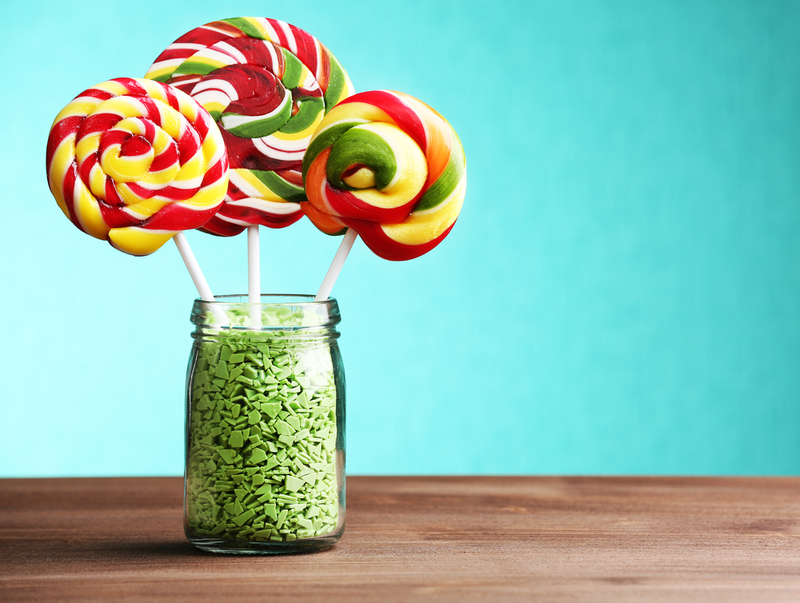 But before you dive into your competitive candy stash, it’s important to establish a few rules. First, make sure there’s no eating of game pieces while playing, and keep your hands off other players’ candy too — unless the games about candy calls for stealing another player’s candy, then it’s game on! Also, for the sake of safety, make sure that all candy used in your party games are safe for guests with food allergies. Nut and food dye allergies are common, so always inquire about possible allergens! Now that you’re ready to declare sweet victory, here are 10 candy-infused games that your friends and family will eat up! What’s red and black and deliciously competitive? Licorice checkers! All you need for this game is the classic checkers board and bags of both red and black licorice bites (not the ropes!). Set the board with licorice bites instead of the chips. In licorice checkers, though, jumping another player’s piece means eating it! And when you are made ‘king,’ you grab another licorice bite and stack it on the ‘king’ piece. The player with the most licorice on the board wins! Playing Pieces: A deck of cards, M&Ms or chocolate coins. We never use real money when we play card games! Instead, we grab chocolate coins! Or M&Ms! When using M&Ms or other candies as collateral, make sure each player understands the dollar amount associated with different candies…you can even set different values for each M&M color. However you choose to play, go all in with your chocolate! Winner takes the whole sweet pot of candy! This is one of the best M&M candy games–trust us! Playing Pieces: About 200+ small lollipops, a cardboard lollipop tree, small prizes. The lollipop pull is one of the most classic and fun lollipop games–you’ve probably played it at a carnival! The biggest prop you’ll need for this particular lollipop game is a cardboard lollipop tree. You can buy one at a carnival or party store, or you can make your own. If you’re creating this game for a school carnival, you’ll need a few hundred small lollipops. Dum Dums are the best to use because of their small size, but Tootsie Pops or Blow Pops work well, too. Mark a colored dot on the bottom of random lollipops to denote a prize-winning pop. Each player may pull one lollipop per play. Prizes for winning pops usually include small toys like erasers, whistles, bouncing balls, etc. For holiday parties and baby showers or bridal showers, play a game of candy bingo. You can download bingo cards online for different holidays or occasions. Use candy as the game pieces used to cover up bingo pictures. Little party mints may be used for bridal or baby showers, and Hershey’s Kisses add a sweet touch for Friendship or Winter school parties (if you’re allowed to bring candy!). For fall or Halloween parties, use candy corn to cover the pictures. Players can eat their pieces after the game is over! What’s light as a feather and looks like colorful snowballs? Marshmallows! We will absolutely classify marshmallows as a candy! 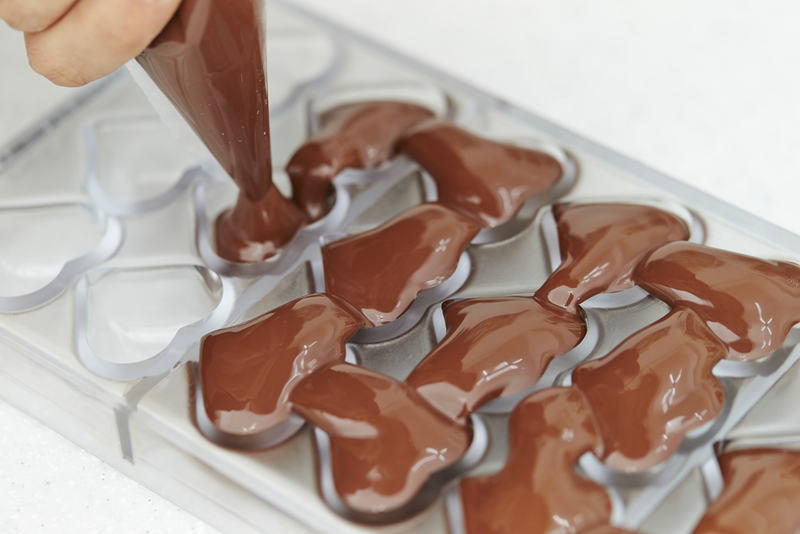 They’re ooey gooey and delightful…and often stuffed in some of our favorite chocolate candies! You can use mini marshmallows to host indoor snowball races. Players are given a drinking straw and a stack of ‘snowballs.’ Draw a finish line on a table and compete to see who can blow all their snowballs across the finish line first! Be aware, though, some saliva might fly…so don’t eat the snowballs after playing! What you need: A mason jar, tiny candies! Fill a decorated Mason jar (get creative for the designated occasion) with a specific amount of candies. You can use M&Ms, Reese’s Pieces, Jelly Beans, or any type of candy you choose. Be sure, though, that you count exactly how many candies you place in the jar. The object of the game is to have guests guess the amount of candy; the closest guesser will win the whole jar! Use candy to create “feel and guess” games for Halloween or other holidays. Gummy worms may be used to simulate worms or snakes, gum balls can be used for eyeballs…use your imagination to create sensory games using candy. Fruit gummy rings also may be used in ‘guess the scent’ games. Playing Pieces: Flavored gummy rings, a game board. Forget the X’s and O’s…just use O’s in two different—but equally tasty—colors and flavors. Create a tic tac toe board and have players alternate turns using their different gummy rings. The winner gets to eat all the candy on the game board! Playing Pieces: Lots of licorice rope! How low can you go? For sweet-themed parties, play a game of licorice rope limbo using different flavors of licorice rope tied together to form one long rope. Have players bend and squat to see who can go the lowest without touching the rope! Playing Pieces: A trick-or-treat bucket, various candy. This is a fun game for Halloween parties…although, you can switch up the bucket and the candy to accommodate any holiday. Players are given a designated color of hard candies that they need to toss into the bucket. Each player must stand behind the game line to toss their loot…the player who gets the most candy into the bucket wins! The game also can be modified to include tossing Swedish Fish into a fish bowl target or gummy worms into a flower pot! 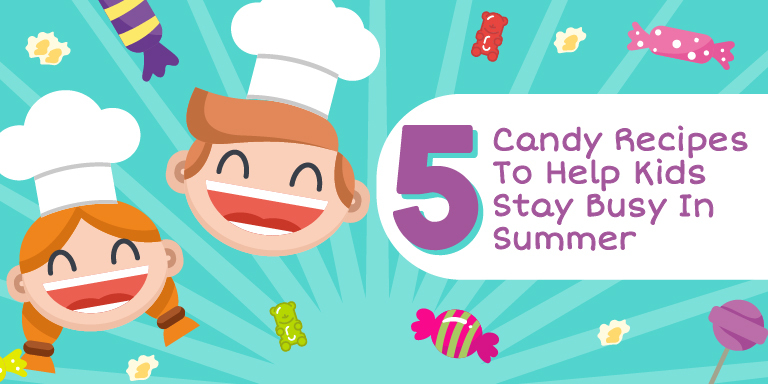 Add a sugar rush to your next party with a few of these great candy-infused games about candy. Traditional party games are fun, but swapping out game pieces for candy means everyone wins. 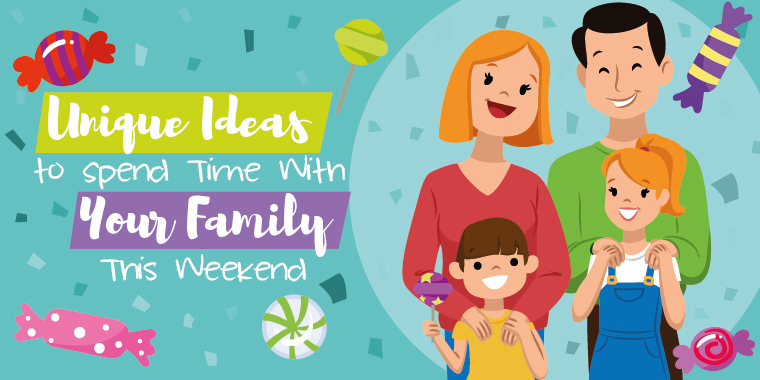 And when the weather keeps you indoors and the kids are bored, candy games create a sweet diversion to let kids have their fun…and eat it, too! Whether you choose M&M candy games or lollipop games, party games involving food are our favorite kinds of games–maybe they’ll be yours, too!